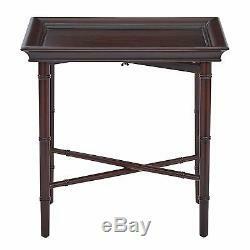 Office Star® Products Salem Folding Serving Tray in Brown. 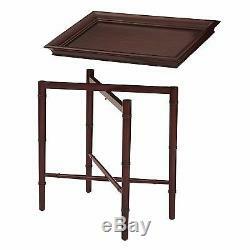 Deliver that bed-and-breakfast charm with the Salem Folding Serving Tray from Office Star Products. Ideal for serving breakfast, drinks, or snacks. Bamboo styling with 4 artfully crafted legs for stability. Unique finish on the tray's face allows for use of a dry erase marker to describe things on the tray. Can be used as a labeled cheese board. 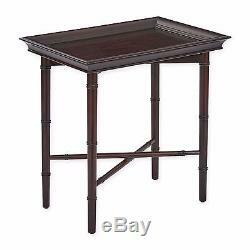 Measures 15.5" D x 22.75" W x 23 H. The item "Brown 4 Legs Rectangular Birch Wood Bamboo Style Salem Folding Serving Tray New" is in sale since Thursday, December 15, 2016.